"I congratulate the political, operational, and intelligence echelons on the decision and the implementation of the attack to destroy the nuclear reactor in Syria about a decade ago. "This important operation reflects what the State of Israel has long advocated and maintained as policy. "It is good for the enemies of Israel to remember that when we say we will not allow our enemies to achieve military nuclear capability - we mean it. It is good that our enemies, and our friends as well, know that when we say Israel should be able to defend itself by itself, we mean it. "When our enemies, in the chaotic situation of the Middle East, look at what is happening, they have to take into account that the important attack about a decade ago expressed this truth. And since then, we have not rested on our laurels; we have developed and improved our intelligence and operational capabilities. "When any one of our enemies plans to approach us on the Golan Heights front or threatens us with nuclear weapons, missiles, rockets, or terror, he will remember that the security establishment works so the people of Israel remain safe in its land. It takes a good many daily decisions to forestall the next war, the next attack or escalation; it is the battle in-between battles. "This is shared by all the security forces. 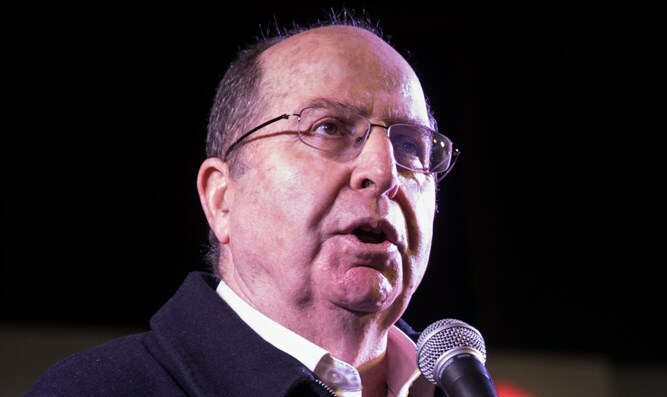 The Mossad, headed by Meir Dagan, has an important contribution to the security situation enjoyed by the Jewish people. "From my close acquaintance with the work of the Mossad and Meir in his various positions, I appreciate Meir's personal contribution to Israel's security in his modest way - and I am not sure he would have liked today's exposure. As a man of the shadows he knew the price of such exposure. 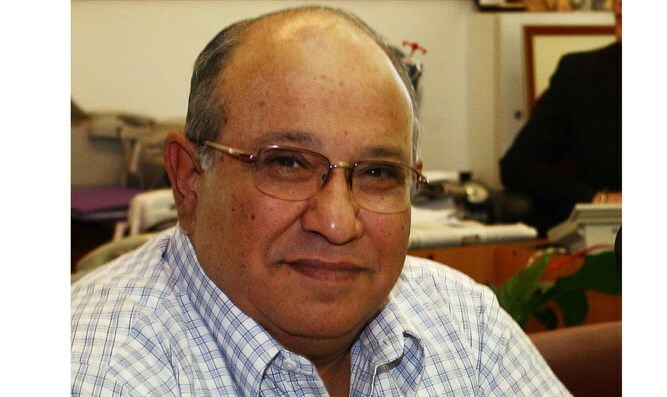 "I was familiar with Meir since Operation Peace for Galilee, when he served as unit force commander and later as head of the Military Intelligence and then as Mossad chief when I was IDF Chief of Staff. "Many of us owe Meir their lives, and today's relative security and quiet are the result of creative activity outside-the-box, as the operation revealed today shows. "We live in a period when the most permanent thing in our lives is change. Many of us were familiar with leaders who held sway in the Middle East for decades, but in the present period, the main challenge is to follow the changes in which nation-states in our region have broken apart. "In Syria, for example, there are many players today: the regime, the Kurdish factions, the Sunni groups, Iran, Hezbollah, Turkey, the US, Russia, and more. All of this requires constant daily vigilance for changes. "Anyone who asks himself, "How is this different?" should know it's necessary to ask this not only on Pesach. It's a question that has to be asked every day. This is true also of technological changes: The entire cyber world has become a battlefield between superpowers, influencing election results, with the ability to gather intelligence in this space and carry out attacks to disrupt capabilities and intentions. This requires protection. It is a whole world that has developed in recent years, one which requires us to be on the playing field and to strive to be at the forefront in order to stay relevant, with an advantage - and safe. "This is also true of changes in the nature of the threat to us: The conventional threat of armies was the most significant threat, and the intention for the Jewish National Home to be wiped out by military attack was their primary concern. "Since then, the military threat has decreased because they have learned the lesson that the IDF cannot be beaten and as time passes the IDF opens up discrepancies in its favor with technology-based advantage and know-how - and they have realized it's not worth dealing with. "Others who did not accept the existence of a Jewish National Home chose the path of attrition: Terror, missiles, and rockets to avoid direct confrontation with the IDF - the most powerful army in the area. "The balance has changed in the threat to us, from what a military strike force demanded in a conventional war and what is happening today: What is being tested is our ability to stand steadfast as a society. "We are not measured by tanks or strategic capabilities, but by the willingness of every individual in our society to accept and overcome, to grit his teeth and move forward - and the leadership is required to take responsibility despite the difficult situation in which civilians are attacked by terror, and of course, to deal with missiles and rockets. 'Threats to the rule of law, checks and balances in our democracy: It is precisely in this situation that a united and cohesive leadership is required, not one that is divisive and alienating - a leadership that provides a personal example and strengthens trust in it - as an important component of national strength. The internal threats are central to the State of Israel today, and it is vital to deal with them.